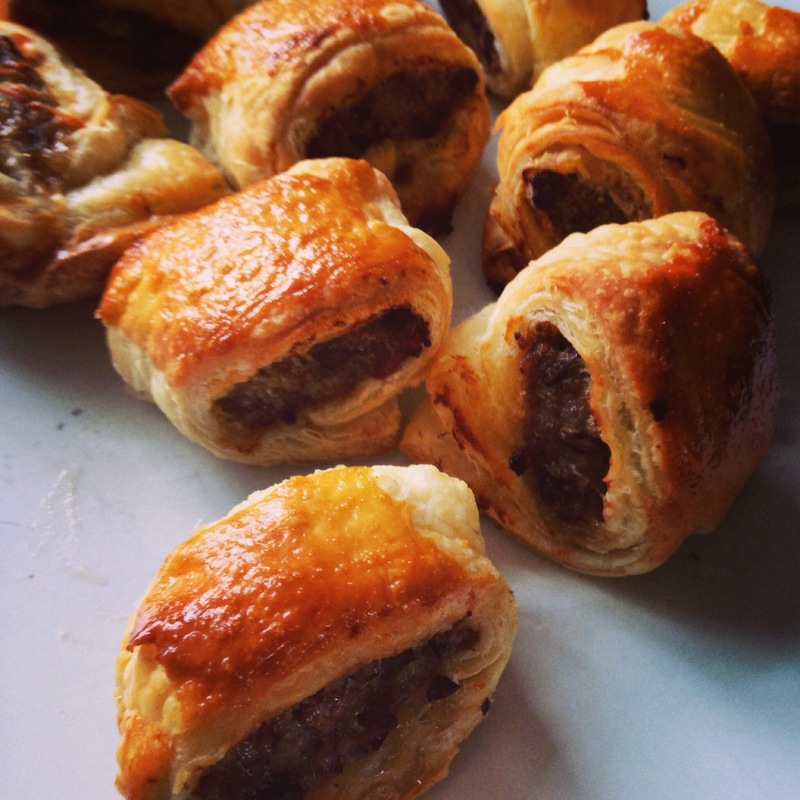 Last weekend my eldest son, Marco came to stay for a few days and he does love sausage rolls. He buys the really fatty frozen ones from a well known supermarket so I wanted to treat it to some good quality home made ones. As I only had a packet of organic sausages I did mix in some chopped and cooked mushrooms to the sausage meat before making the rolls to bulk it up a bit. 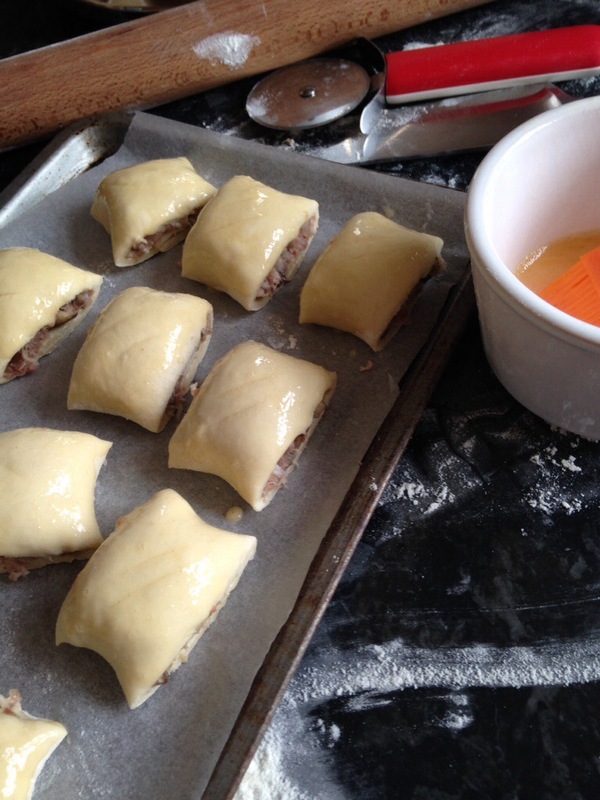 I did use frozen puff pastry. 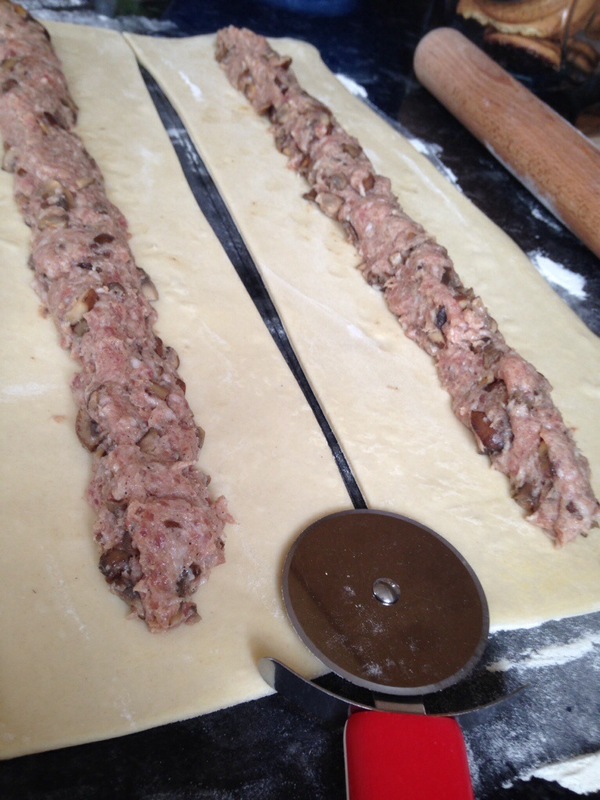 Simply roll it in a large rectangle shape, cut in half length way and add the meat mixture in the middle before brushing te edges with beaten egg and rolling. Once is rolled and seal, cut into the prefer size, brush with beaten egg and bake for 15-20 minutes. * Remember to remove the skin from the sausages before missing with the mushrooms. * You can add more flavour by adding garlic and thyme to the mushrooms as you cook them. This entry was posted in baking, catering, cooking, eating out, food, home, home cooking, kitchen, love, nutrition, snacks, world food and tagged cooking, home, mushrooms, organic, sausage. Bookmark the permalink.